At Roan Mills we grow heritage wheat in California from November until June. We preserve the individual identity of the wheat variety throughout the process. Roan Mills flour has flavor. Roan Mills flour is fragrant with distinctive color. Roan Mills flour has 100% of the natural nutrients intact. Three simple ingredients, flour, water and salt are transformed well beyond the sum of their parts when the variables of time and temperature are applied to the process. than this simple product made from just two ingredients. 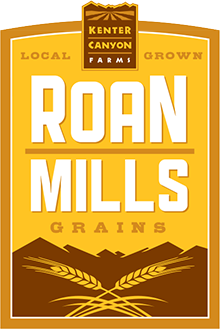 Roan Mills brings whole grain goodness to the greater Los Angeles area every day. Keeping it simple, keeping it real. We’re wheating for you.